1. Boil milk in a large vessel. Add grated carrots. Allow the carrots to cook on slow flame. You may need to continuously stir the mixture for a while and in between to avoid sticking. When the milk is reduced completely, add mawa. 2. Continue stirring the mixture further till mawa is nicely mixed and roasted. Add any dry-fruits if you are using along with cardamom powder. Add sugar and continue to cook till the sugar is totally absorbed. Serve hot. You may boil grated carrots before adding to milk to hasten up the process but I wouldn’t recommend it. You can also adjust sugar as per your taste. You can also play with quantity of milk and mawa based on your preference, my family prefers less milk and mawa. 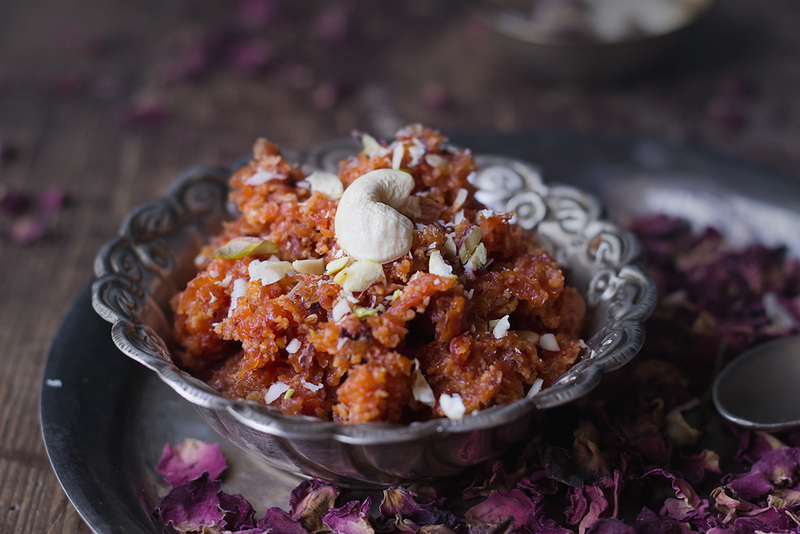 If you do not wish to use khoya, then use 2.5 litres of milk for 1 kilo of carrots.